Animal quarantine is a quarantine system that is implemented worldwide for the purpose of preventing the incursion of animal illnesses and diseases. 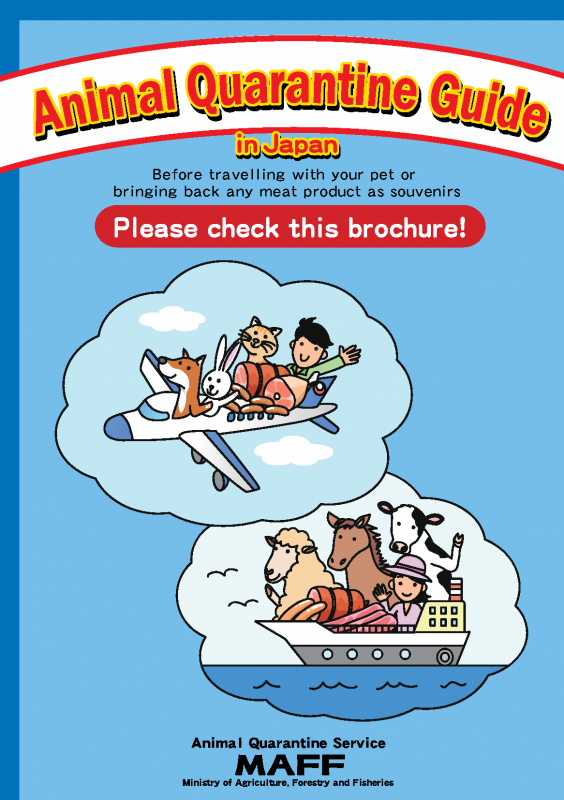 Japan conducts both import and export inspections for cattle, pigs, goats, sheep, other cloven-hoofed animals, horses, chickens, pheasant, ostrich, guinea fowl, turkeys, quail, Anseriformes such as ducks, geese, etc., rabbits, honey bees and other animals as well as products and goods manufactured or derived from these animals. Inspections are conducted upon arrival and departure in order to prevent the incursion into Japan of rabies and leptospirosis in the case of dogs and rabies in the case of cats, raccoons, foxes and skunks. In addition, monkeys are also subject to inspection upon entry in order to prevent the incursion into Japan of diseases that are transmitted from monkeys to humans that have not yet occurred in Japan such as Ebola hemorrhagic fever and Marburg viral disease. From 22nd April 2019, Penalty for violation against the Act on Domestic Animal Infectious Diseases Control will be applied more stringently for introduction of meat products. Currently hot water cannot be used at the quarantine facility at Haneda due to equipment failure(Jan. 9, 2019). Export of poultry and poultry products(meat, egg etc.) has been suspended due to the outbreak of avian influenza in Japan (Jan. 10, 2018). Animal quarantine regulations for dairy products have taken effect on 1 November 2017. Detention facility for cats at Haneda Airport Branch has been full (Feb. 15, 2017).